For some reason, I’ve always loved cheetahs. 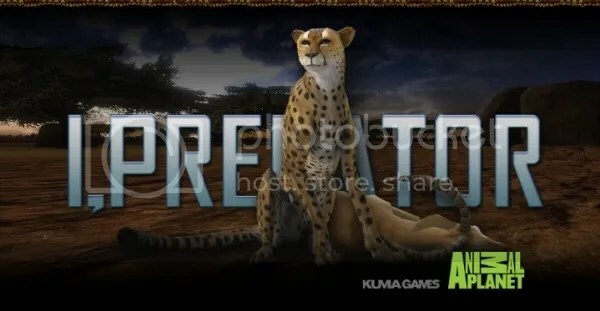 Starting from around age 9 I’d watch Animal Channel for hours at a time, but it wasn’t until I was about 13 did I really notice the cheetahs. From then on I would watch cheetah documentaries and such until midnight or one in the morning, which was pretty darn late considering my usual bedtime was 9. Firstly I think they’re beautiful. Beautiful physically and beautifully structured to get the most out of its main feature – their speed. Long, spindly legs with powerful base muscles provide the power to charge through the fields. Unlike most felines, cheetah claws are only semi-retractable, meaning that their claws are always showing. This allows them to easily spring into action at a moment’s notice. Their protruding chest contains a massive heart and pair of lungs for maximum oxygen intake, while their concave stomach and flexible spine allows for rapid and easy movement. A long tail acts as a rudder to stabilize quick turns and their especially long eyes views the world through a wide-angle lens. Feline ears are usually pointed while the cheetah’s are rounded, like a bear’s. While walking or sitting, their hunched shoulders and fuzzy back almost have a bearlike appearance too. To me, their most distinctive qualities are the two black stripes that curve through their faces. The stripes start at the innermost corners of their eyes and curve down and around the nose before ending above their bottom lip. 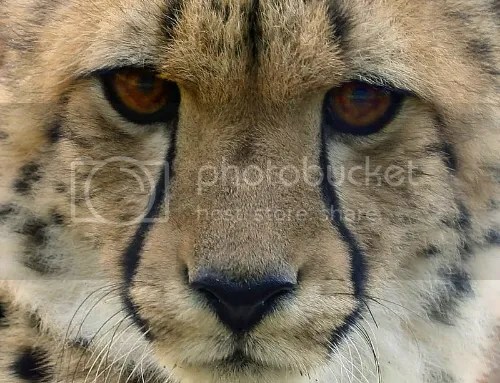 On some cheetahs the spots around the outer corners of their eyes are more distinctive, trailing down their cheeks or to the back of their necks. Most predators hunt by simply leaping upon and overwhelming their prey. With the cheetah’s slimmer demeanor, they simply don’t have the power of a lion or leopard, so they have a trickier method instead. 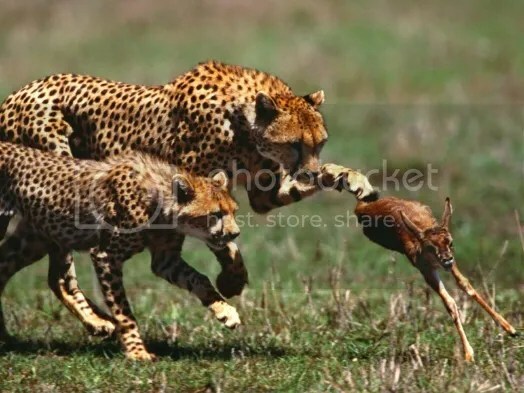 While chasing their prey, usually antelope, they’ll flick out a paw and trip it. The sounds they make are ridiculous. They can purr and growl, sure, but they can also make peculiar (and adorable) chirping sounds. It almost sounds like the bark of a tiny dog, uttered through the vocal chords of a baby kitten, but through the body of a full-grown, dangerous cheetah. Well, not very dangerous. Cheetahs are notoriously skittish and can even be too nervous to breed sometimes. In the San Diego Zoo, four of their cheetahs actually have canine companions to help calm them down and keep them happy. People always ask me what my favourite animal is, and one of the first to pop into my mind is “cheetah,” along with “horse” and “snake.” Cheetahs have been with me longer than any other animal before, besides for dogs, and I long to interact with one in the wild one day. So far I haven’t even seen any in the few zoos I’ve been in!